"I love me some turkey work!" 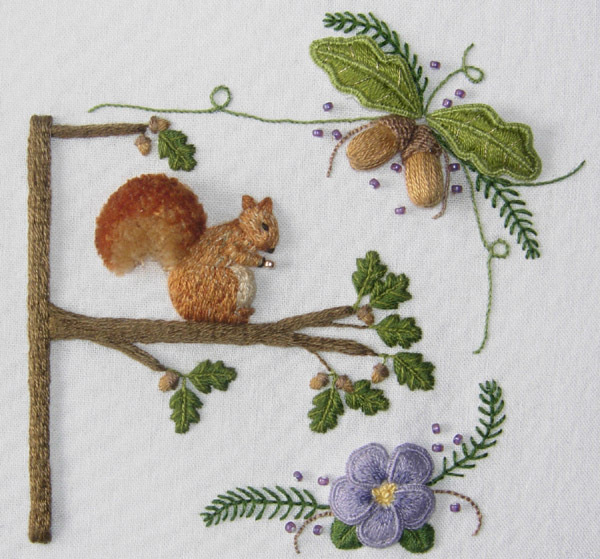 Just look at that sweet squirrel's tail! Stumpwork with turkey work included. Heaven for me! Flossbox always has something beautiful to admire. Wow, what talent. I will have to jump over and peruse Flossbox.